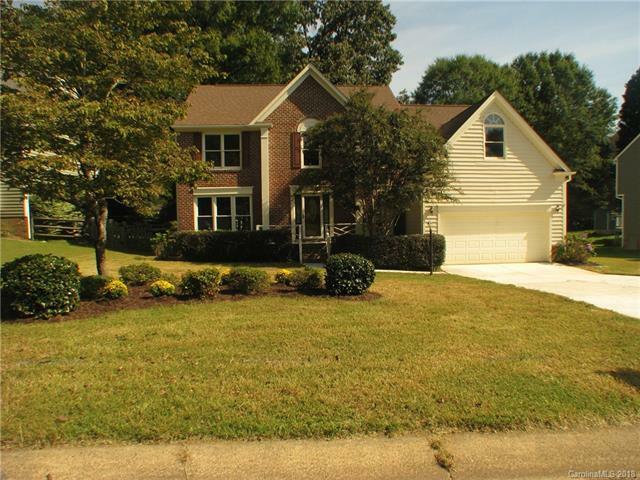 Fresh paint, new engineered hardwood & tile flooring throughout home! Updated lighting and bathroom fixtures! Solid surface counters in gourmet kitchen with custom raised panel cabinets with moulding and light rail. Black appliances inc smooth cooktop, dbl wall ovens, microwave, dishwasher, & French door refrigerator. Formal dining and living rooms. Moulding package throughout the main floor. Den with wood burning fireplace (sold "as-is" with no known issues). Large deck overlooks private fenced backyard. HVAC new Nov 2016, roof replaced 2008, water heater replaced 2017. Owner suite with ceiling fan, wood floors, private en suite bath w/ tile flooring, jet tub w/ custom tile surround, stand up shower, oversized dual sink vanity. Three spacious guest rooms plus a large bonus room with closet making an excellent 5th bedroom!